"The 360 degree motion is nice and fluid"
We are pleased to announce that as of the 3rd of March 2019 Stunt Drivers version 1.06 is now available for download from the PlingStore and is priced at £ 9.99. 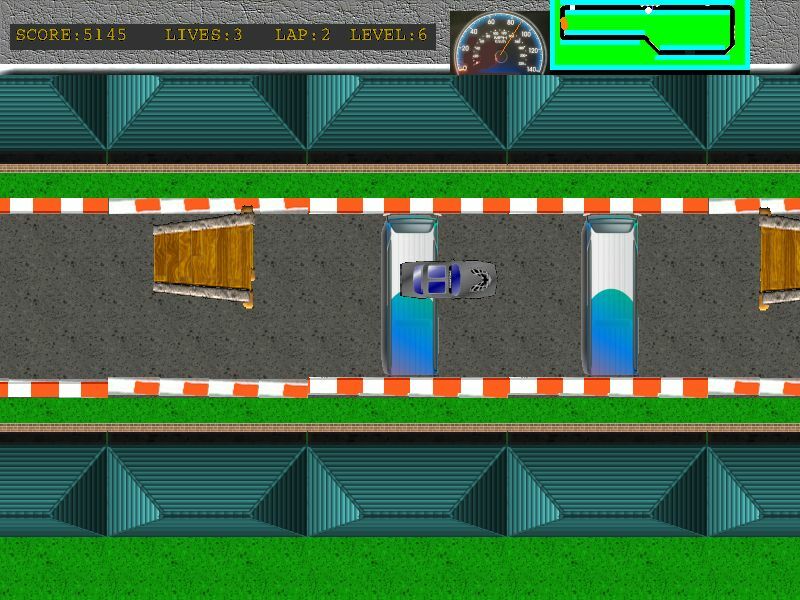 Stunt Drivers was originally released during October 2018 at the RISC OS London show. See the news section for more information. 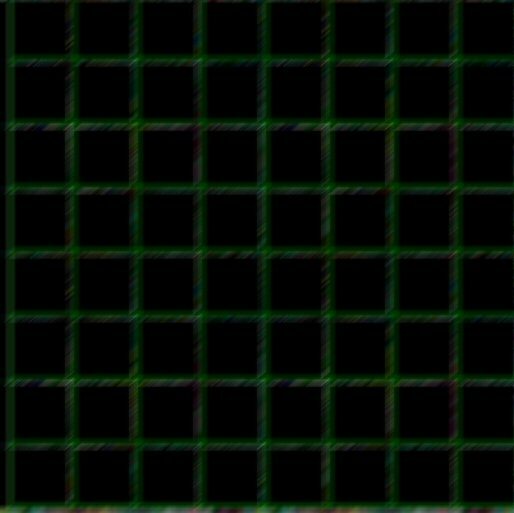 Stunt Drivers is a new RISC OS game presented in 16 million colours developed using the AMCOG Developent Kit. 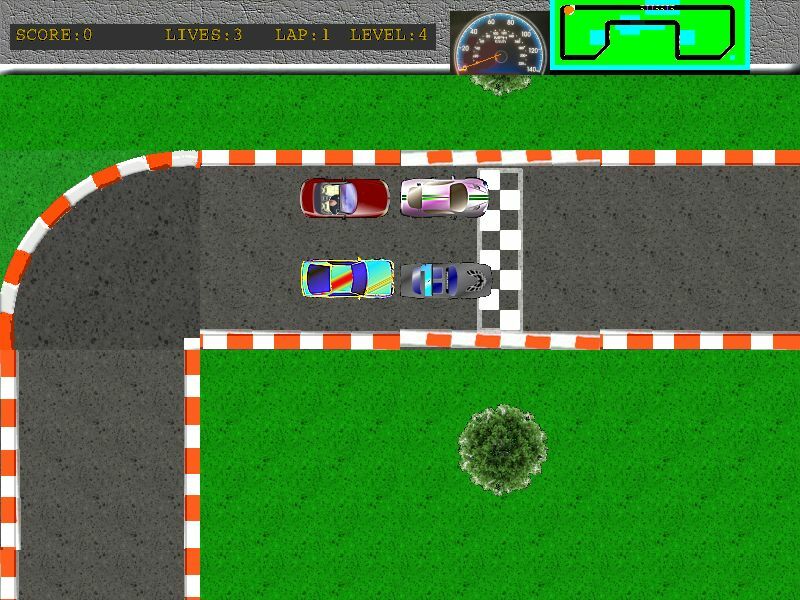 Race your stunt car against the computer to complete 3 laps and win the race. Jump the obstacles using the ramps, avoid the oil and watch your speed! If you take the ramps too slow, you may crash. Also, if you hit the barriers or an obstacle too fast, you may explode! Stunt Drivers is compatible with RISC OS 4 on Virtual Acorn and RISC OS 5 on Raspberry Pi 1,2 & 3 Beagleboard and Pandaboard based systems, ARM X6, Titanium and RPCEmu. Upgrades to Stunt Drivers are free.